Where to begin? The days seem to just melt together. Yesterday we awoke in Selçuk and had a lovely breakfast provided by Momma Homeros. 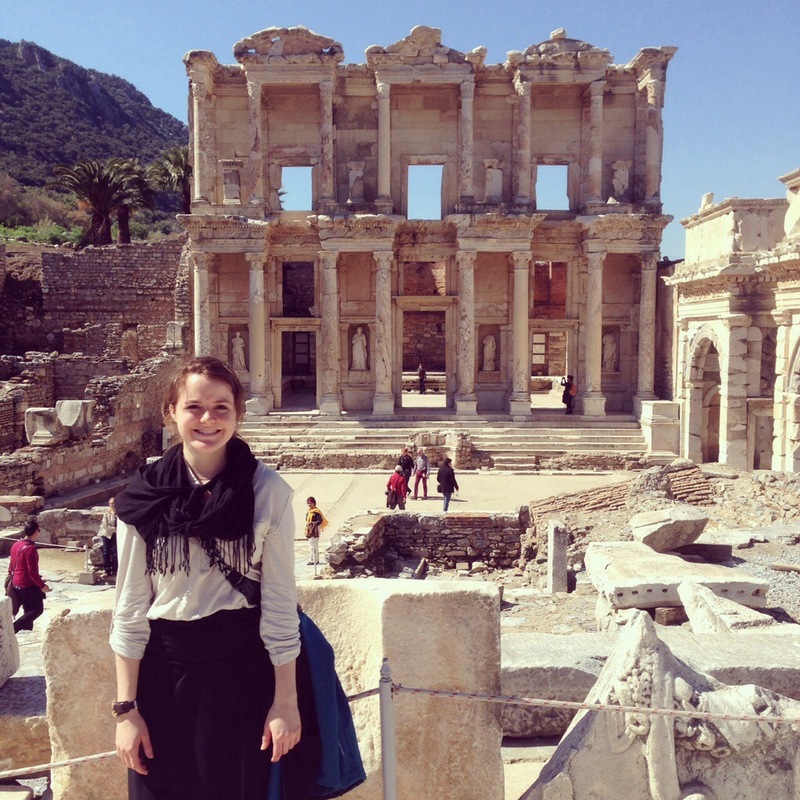 Then we made our way to the Ephesus ruins and parked our van at the bottom. We were about to start the hike from the bottom of the ruins to the top when a man told us he’d give us a ride to the top so we could explore the ruins top to bottom provided we let him take us to the government run rug weaving school. Naturally, we took him up on the offer. I was pretty suspicious about the whole thing, but we did it and I’m glad we did. It added about twenty minutes to our adventure, but we got to see how Turkish rugs are made and all the work that goes into it. Afterwards, we got a ride to the top of Ephesus and began our journey through the ancient city. Although Pergamum was a city on a hill, Ephesus was a city in a valley and a harbor at that, though the water no longer reaches the area. 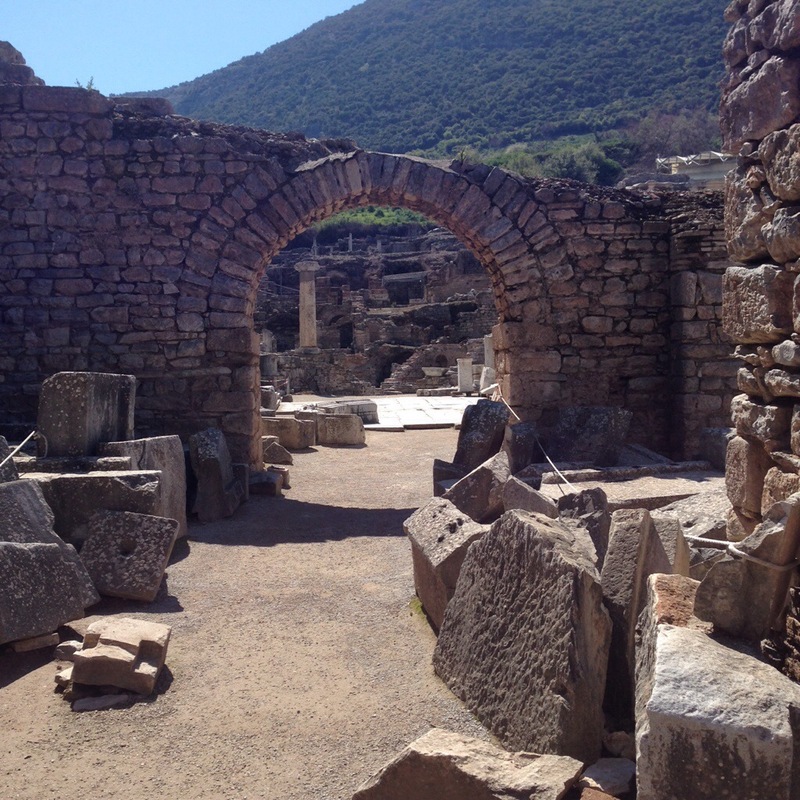 The ruins are pretty well preserved and renovated and we got to crawl all over them. The library was awesome and the public latrine was my favorite, it was paid for a by Christian lady way way back in the day when Christianity became acceptable. We ended up spending much more time at the ruins than we thought, so we had to adjust some of our plans, which really just meant that when we got to Fethiye that night, we wouldn’t have time to explore. We got to Fethiye, a coastal city, super late and we weren’t sure if any restaurants would be open, but we found a swanky place where I had fresh Lagos (a fish) from the town. Yummy! Then we all passed out. Today was devoted to driving to Antalya and stopping at various places on the way. The first of which was the city of Pitara and the ruins there. 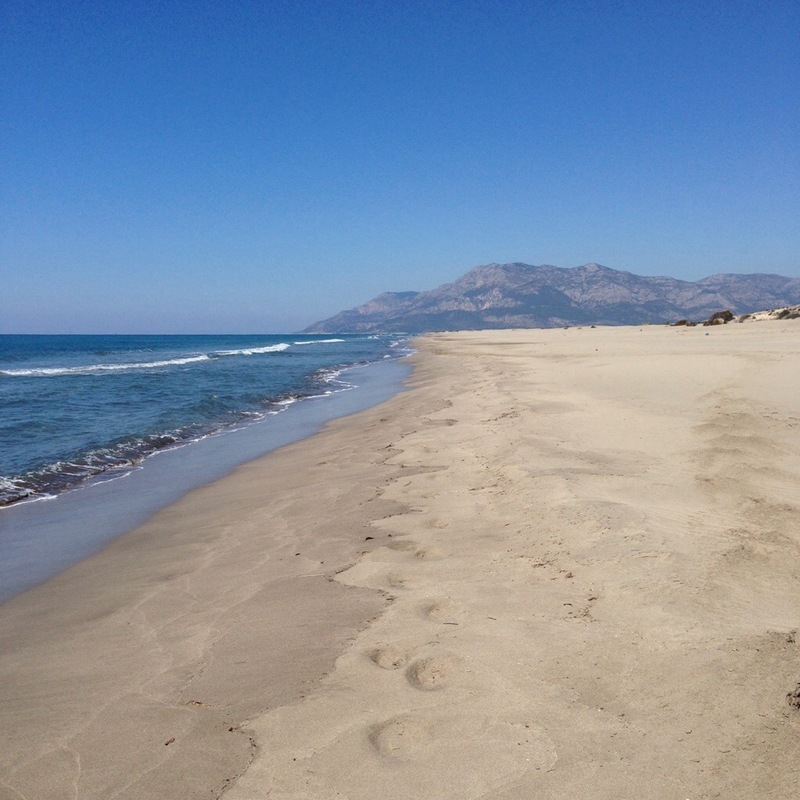 It was at Pitara that I got to dip my feet into the Mediterranean Sea for the first time. We were exploring the ruins when we noticed there was a little path to the beach. 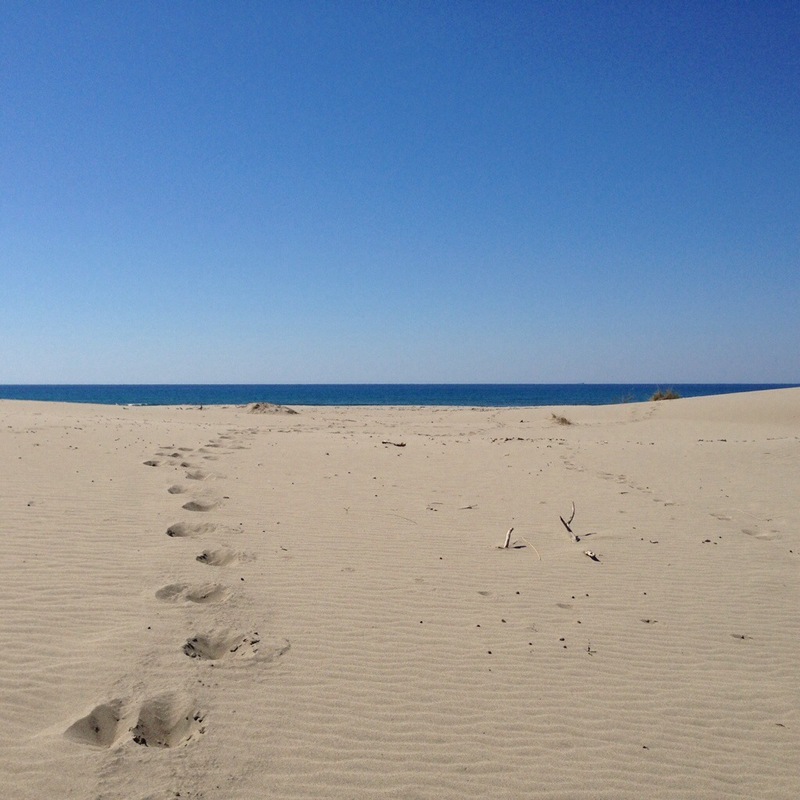 We followed it and got to enjoy miles of empty beach on an incredibly pleasant day. It was beautiful. Then we hit the road and headed toward Antalya. On the way we pulled over to hop onto a gorgeous beach that was reached by a long staircase built into the cliff side below the highway. Next we hoofed it to Mount Olympus so we could hike part of it. But our timing was off and we kind of got lost. 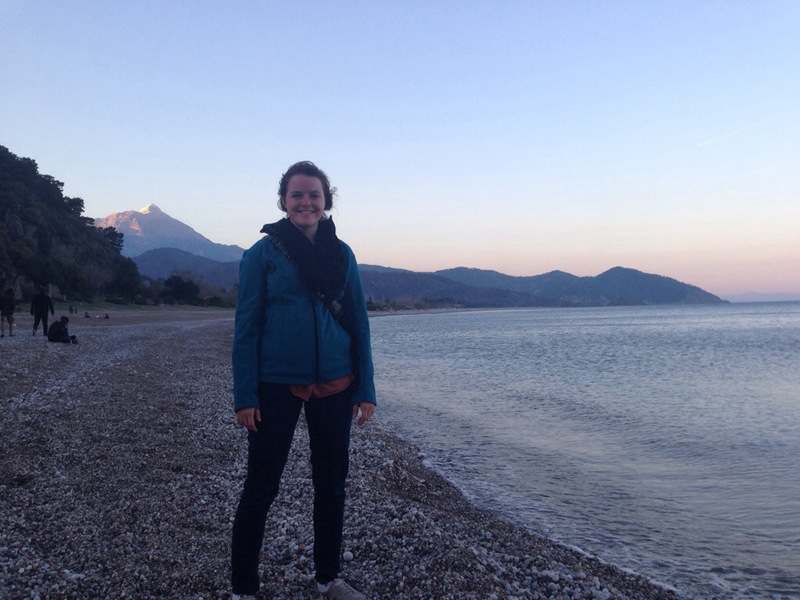 We ended up making it to the city of Olympos, but not the mountain itself. However, that allowed us to hike to a secluded beach and climb an ancient cliffside castle with Mount Olympus in the background, which was more than good enough for us. And now, I rest. We’ve done and seen so much, but my lack of sleep and rest makes it hard for me to take it all in. So tonight I will recharge. And we’re back on the road tomorrow. This time, to the Cappadocia region, a little town called Goreme.